I’m back! Sorry for the break, but for those who don’t follow me on social media, my 6 year old daughter is battling cancer so I’ve had my hands full. Good news is she’s doing great and we hope to have this monster killed by summer! 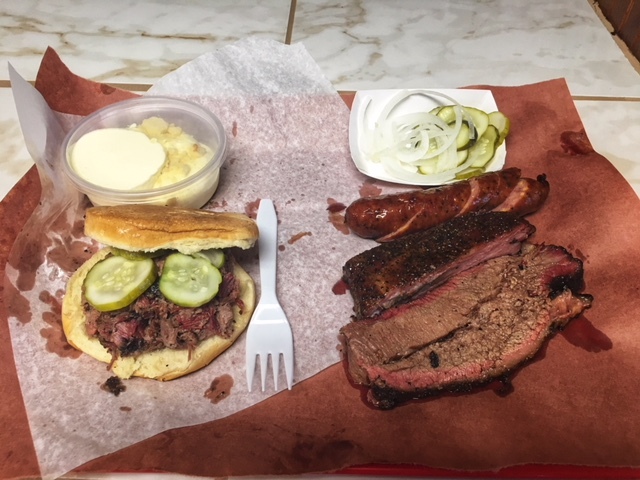 Before all of this madness took place, I was able to visit Flores BBQ in Whitney, TX. I grew up going to Lake Whitney all the time so it was nice to get back that way for the first time in 15 plus years! We arrived late on a Saturday afternoon around 1 PM. The line was out the door, but luckily for me, we were able to order what we wanted! Of course I got the Texas Trinity and my wife had a chopped brisket sandwich and we split some banana pudding. The brisket was moist, smoked perfectly with the traditional SPG Hill Country profile. They obviously know what they are doing. The sausage had an abundance of melted cheese; the jalapenos were flavorful with mild heat. The ribs, oh the ribs! The ribs were smoky, sweet and peppered perfectly!  I will wait until I make a second visit before I declare these the best ribs I’ve ever had, but they are the best ribs I’ve ever had. HA! I hate saying that, not knowing if I just caught them on a good day, but they were phenomenal. I was extremely happy with my meal and the next time I’m that way, I will make a point to check Flores out and get those ribs.